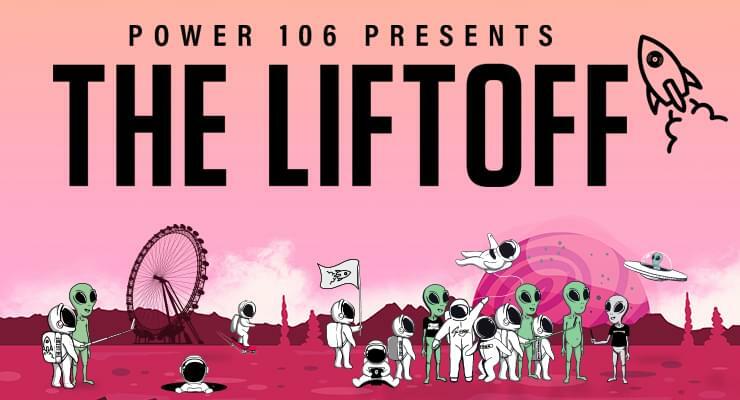 The Liftoff features performances by MUSTARD AND FRIENDS, G-EAZY, TYGA, FRENCH MONTANA, BLUEFACE, T-PAIN, O.T. GENASIS, A-TRAK, RODDY RICCH, GASHI, 1TAKEJAY, RUCCI, $TUPID YOUNG, KALAN FR FR, DDG, DEF JAM “UNDISPUTED” ARTISTS: SNEAKK, LUL G, TJ PORTER AND SURPRISE PERFORMANCES! The Liftoff features 2 stages and a festival area. The Liftoff New Music Stage features live performances from hot new emerging Hip Hop artists. The festival area offers graffiti artists, body art, lawn games, food trucks, and lifestyle activities. The Liftoff is a 1 day music festival with doors opening at 2PM.